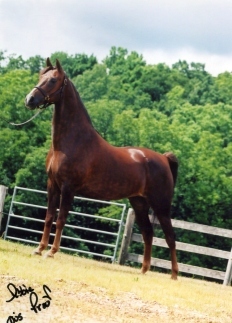 Chestnut mare, stands 15:2. 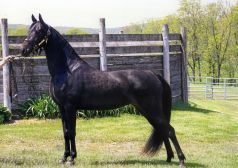 An honest mare that has carried many riders into their first class, everything from academy to Classic Pleasure Driving, Hunter Division and Equitation. Truly a mare to respect for her honest work ethic and her ability to put the rider across the ring safely. Bay gelding, stands 15:2. "Smitty" has been a winner for HyLee since his yearling year. 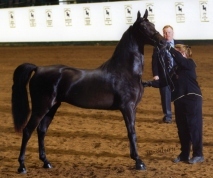 He stood Grand and Junior Champion Stallion multi times, and is now being shown Park Saddle and Park harness. He is Mr. Personality, and has won every class with a different rider each time. His looks make him one you can�t miss; he is so beautiful. He is also a very nice horse to be around. 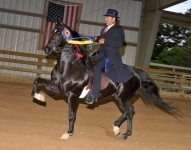 Smitty was the unanimous winner of the Junior Exhibitor Park Saddle 15 Years and Under at the 2006 Grand National, as well as 3rd in the World Junior Exhibitor Park Saddle and 5th in Geldings 5 Years And Older. 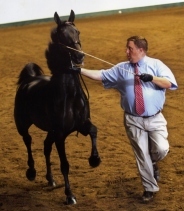 Smitty was also Horse World�s People�s Choice Champion for the Year 2006 in the Junior Exhibitor Park Saddle 15 and Under Division. Bay colt, trimmed with white. Extreme way of going off both ends, a long neck, and exotic. "Howie" is a wonderful gelding. Pleasant personality and disposition. He drives very well and could do carriage. He stands 15:3+ and is a very sound individual. 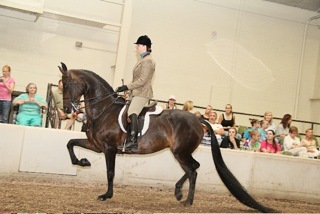 He has been shown hunt seat as a 3-year old and placed well in both shows. He has been used for advanced riders in our lesson program, has had level 1 work in dressage and has been jumped. He is a solid reliable individual. Pictured as a 3-year old. 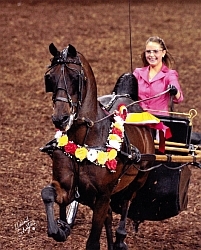 May is a grand mare and 2010 was her first two horse shows. She was 1st in the Novice Hunter and 1st in the Mare Hunter Pleasure at Prairie State. At North Star Morgan Americana she was 1st in the Limit Hunter and 2nd in the Hunter Mare class. She is a big handsome mare with alot of stride. 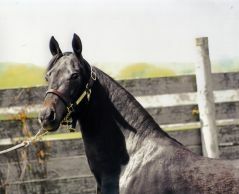 She is a great representation of her sire, Galaxy Seven and dam, HyLee's Teardrop. She will have many more winning years at HyLee Farm. Bay mare, stands 15:2. One of the most beautiful mares we have ever raised. 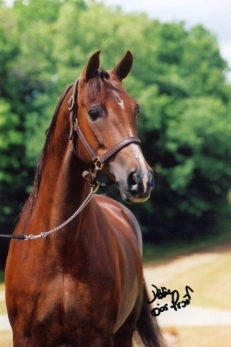 She has been undefeated in hand her two, three and four year old years, completing the 2005 season with being National Champion Four Year Old Mare, as well as the Horse World�s People�s Choice Champion of the Year 2005 as the Four Year Old Mare in Hand. She is currently being worked under saddle by Glen Bouvier and will be the one to look for in 2007. A truly exceptional individual.